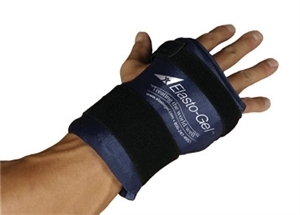 The wrist wrap is designed to offer therapy of the wrist or may be turned to address finger injuries. The product has a wide and narrow side in the design and can be rotated to fit desired need. In addition, users have reported this product as excellent therapy around the elbow. Product is sold by the single unit.